This stupefying letter, still in its original mailing envelope postmarked March 25th, 2 PM, 1952, Glendale, CA, had been filed away by its puzzled recipient for over 60 years, but its very existence defies all reason. For six pages the man went on, describing the saucers and their occupants in the exact same words and numbers used by Frank Scully two years earlier in his book, but why would the Air Force have co-opted such a ridiculous story? 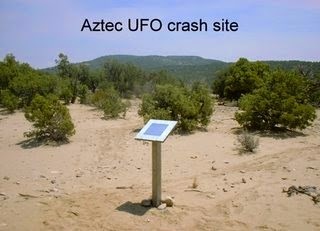 Even if that could be explained, there are so many other unanswered questions that the entire affair threatens to collapse under its own weight: If the saucers and occupants had been spirited away to Dayton, Ohio (not Columbus, as the letter states) in 1948, why would some of them be in Palmdale, California, in 1952? Palmdale was an aviation research center, so even if it could be argued that captured saucers were there to be reverse engineered, why would the alien bodies have been shipped west with them? Why would the existence of flying saucers and aliens in the custody of the U. S. Air Force, something that would undoubtedly rank as the world’s most explosive secret, be so casually revealed to a group of anonymous serviceman, who were then allowed to write home about it? Why would the servicemen have been repeatedly inundated with incomprehensible information and then left in isolation for days or weeks at a time? Was the dumbfounded airman being hoaxed himself, or was he in on a much bigger, much more misguided hoax directed at the recipient of the letter, a hoax designed to subtly condition Americans for the possible discovery of extraterrestrial life? I've seen that letter discussed before, probably at Saturday Night Uforia but I'm not sure. It was written after the Scully book was published and appears to be based on things in the book. Some people like to make up wild stories that put themselves in the middle of important events. It's not really unusual. I've known a couple of people who were prone to that sort of thing. Military service far from home offers the assurance that no one will be able to tell for sure if it's baloney. It's an odd letter, for sure. Is anything known about the person who wrote it, beyond the basic information? I don't recall seeing anything specific. Aliens: Good, Bad, or Badder?